BBQ at Limoneira starts at 4 p.m.
BBQ location: Limoneira Farm, 4:00-9:00 p.m.
Self-guided farm tours are free from 10 a.m.-3 p.m. Tickets to the Limoneira BBQ are available for purchase online. Tickets will also be sold at the door while supplies last. BBQ tickets are $35 for adults and include all activities, dinner and one alcoholic beverage. Children’s tickets $15, for attendees ages 12 and under. Here’s a video from our tour of Limoneira that you may enjoy. Imagine spending this Saturday strolling through 6 private residences from Santa Monica to Manhattan Beach! The 2015 LA Beach Cities Modern Home Tour promises to ignite your imagination and excite your eyes with innovative architecture and fine, modern interiors. The tour is self paced, so you can linger, loll and dream or zoom through and spend the rest of the day at the beach. We are thrilled to have two tickets to giveaway to one lucky winner! Tickets are $30 each in advance, $40 on the day of the event. Hurry, giveaway ends Thursday at midnight! You can enter here or click on a picture to go to our page on Giveaway Tools. Get a breath of fresh air this Saturday on the 2015 LA Beach Cities Modern Home Tour. Stunning architecture and interior design in 6 private homes. You’ll receive the specific addresses and maps after purchasing (or winning) tickets! What do olives, green tomatoes and ceviche have in common? Chemistry! Olives, like green tomatoes and ceviche need to go through read more . . .
Catch the carriage for a hay ride here! 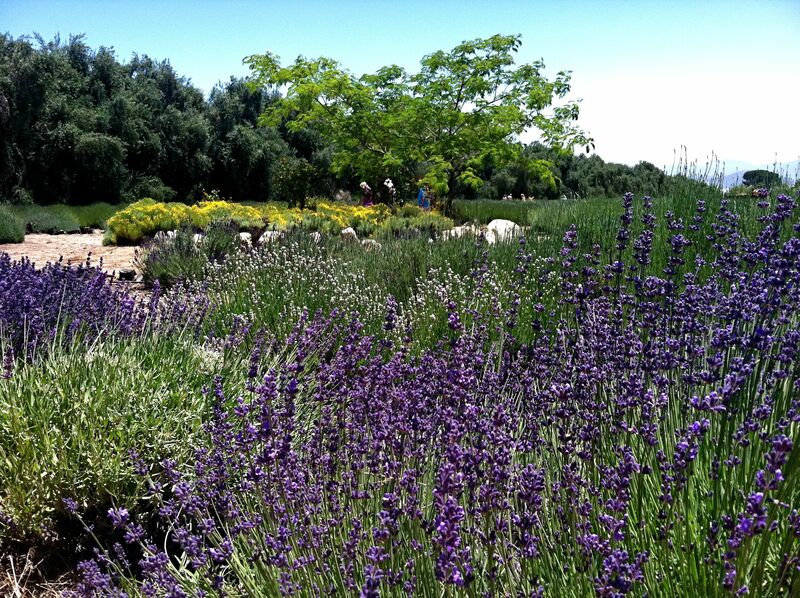 Here’s a snap from Highland Springs Resort and 123Farm’s 7th Annual Lavender Festival, held each June when the lavender blooms in Cherry Hill, California! Stay tuned for video and more info coming later in the week.